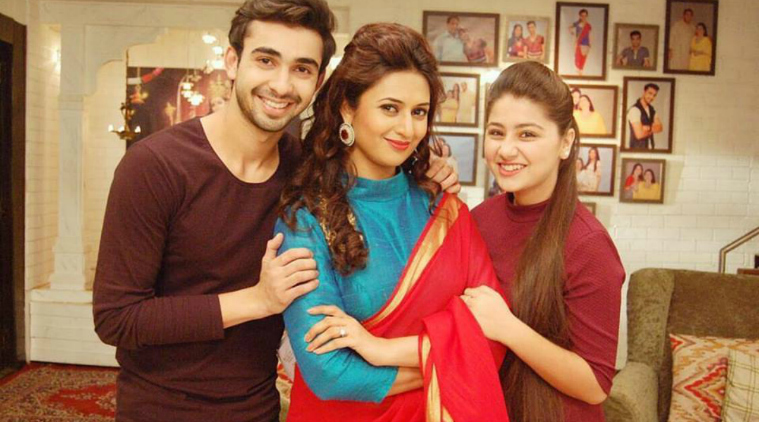 Yeh Hai Mohabbatein is taking turns day by day. Bhavna hides in the garage and Ishita goes to her. Raman and Romy searches Ishita. Ishita calls Bhavna and says i know you but you don’t know me. She says you ran away from mental asylum and i know i will help you Bhavna. Bhavna talks to somebody. Ishita asks what are you doing. Bhavna says Sonakshi will destroy you and you took her home, so now you will be out of your house. Ishita shouts. Raman and Romy reaches there. Bhavna attacks Ishita. Ishita shouts help!! Raman comes there and Ishita hugs her and cries. Ishita says she will kill me. Ishita faints. They see no one is there. Ishita becomes scared like hell and she cries. Raman asks what happened. Mani says Adi you are so talented and am sure that presentation is going to be very good. Adi says i am so sorry that the presentation is not ready yet as the graphic designer is on leave. Clients says that’s so disappointing as Mani praised a lot about Adi. Mani says take help of Alia and complete this project. Adi thinks what has happened to everybody. Toshi and Mr. Bhalla organises Baisakhi party. Ishita asks what she can help. Toshi says take this menu and handle this. Simmi thinks she has not done anything still everybody is seeming so tensed. Ruhi sees Simmi and thinks may be Simmi is involved in what is happening with Ishima. Alia says what happened Adi. Adi yells at her and says you provoked Appa about me. Alia says why would i do so. Adi says you came in the office to spy on me. Then you think that i cannot do anything. Raman gets call of Inspector and he says i have to go. Ishita becomes emotional and says i am troubling you a lot and i am so sorry for that. Raman say you are the best wife ever and i can do anything for you. Raman asks Ishita to sleep and says i have a surprise for you. Ishita sleeps with Raman. Raman thinks he has to solve this problem. Raman brings paranda for Ishita and they share good moments. Ruhi gets ready and goes in the party then she sees Bhavna again.